The logo tee is a symbol of excellence, positive character, ambition & diversity. Cassie Brown, the Los Angeles native has been the most requested model by our fans since Becca Ashley. After featuring Cassie on our Facebook Page fans wanted to see more and demanded to see her in our pages. So, we responded and brought Cassie over to 708 Magazine wear she can be seen wearing the iconic crop top tee in Los Angeles, California. The blond bombshell is adventurous, stunning and ambitious. Her focus is to promote a healthy lifestyle through fitness and clean eating. 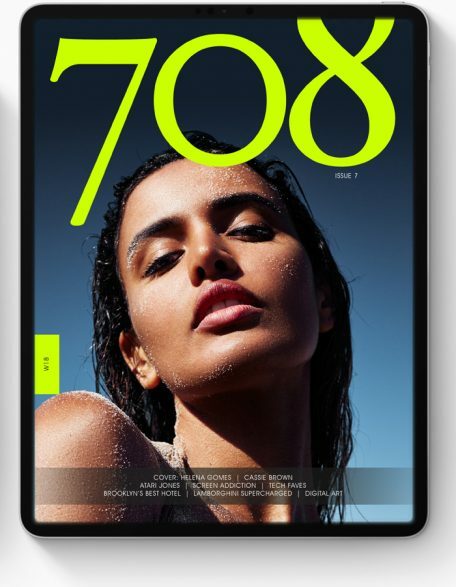 You can see Cassie inside of the W18 Issue of 708 Magazine. Check out her featured editorial and collectors edition fold spread by Danny Rozenblit.